I've only recently heard about shrubs. 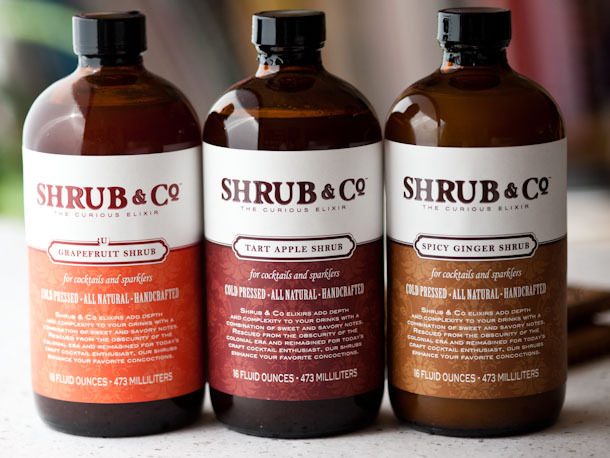 And we aren't talking plants in the garden - but shrubs that are vinegar drinks used in cocktails or just added to sparkling water. Have you heard of them or tried them? I was intrigued when I read about them so decided to try making my own. 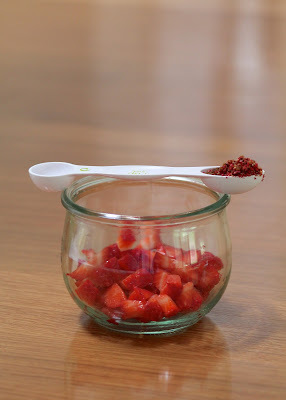 I bought some super delicious fresh organic strawberries and decided to add my favorite combo spice to them - pink peppercorns. You may recall I've made a few strawberry and pink peppercorn things in the past - my favorite being shortbread (gluten free, dairy free). So what are shrubs? 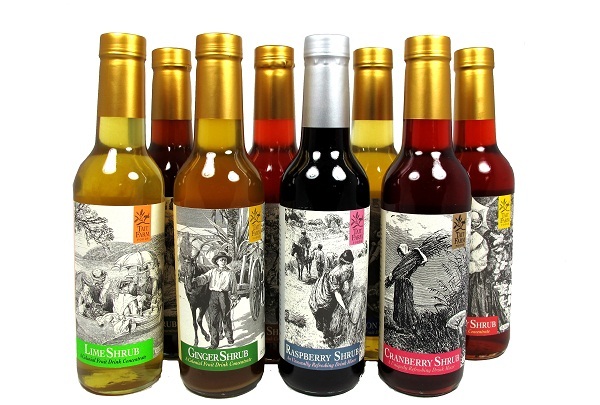 They are basically fruit syrup sweetened vinegars that you add to sparkling water or soda water, or use as mixers in cocktails. It's normally a fruit syrup, added to a vinegar and left for a couple of days and then strained. 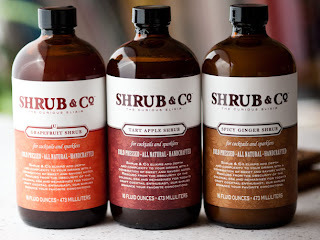 The early English version of the shrub arose from medicinal cordials in the 15th century. The drink then gained popularity in the 1680s among smugglers who were trying to avoid paying taxes. 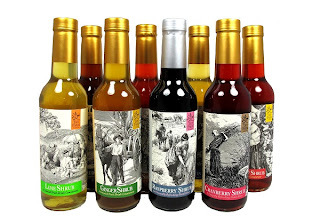 The smugglers would sink barrels of spirits off-shore to be retrieved when no one was looking, but the sea water ruined the taste of the alcohol somewhat, so the smugglers added fruit syrups to improve the taste. The American version started from the preservation of berries and other fruits using vinegar, as an alternative to using citrus juice. 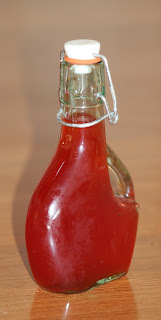 The fruit preserves were known as shrubs and it became popular to pour vinegar over fruit and let it infuse overnight or several days, then strain off the fruit, add a little sweetener and you have a syrup for cocktails. Shrubs seem to have fallen out of favor with the advent of refrigeration, but came back in 2011 in some American bars and restaurants. They now seem to be spreading to Canada and London. 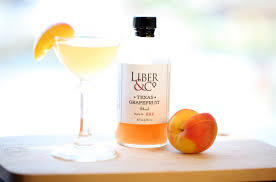 The acidity of the vinegar makes for a good aperitif or as an alternative to bitters in cocktails. I made it as something to just add interest to sparkling water. We have "cocktail" hour at home at 5pm. This is the time that my parrot Harold starts getting noisy and wants his "cocktail" which is a cashew nut. Just like Harold's cocktail isn't a real cocktail, so ours frequently aren't either - but its a time for us to stop for the day. I like having my shrub in water at that time. It is an interesting taste and tastes like a "special" drink, rather than water. My own virgin cocktail. When I came to make my own shrub, as most shrubs use fruit syrups which are high in sugar, I decided I'd make a sugar free version instead. In a small mixing bowl, add the chopped strawberries, sweetener and peppercorns. Toss/mash to combine and let sit for at least 30 minutes or overnight. The shrub will keep for 1 month in the fridge. 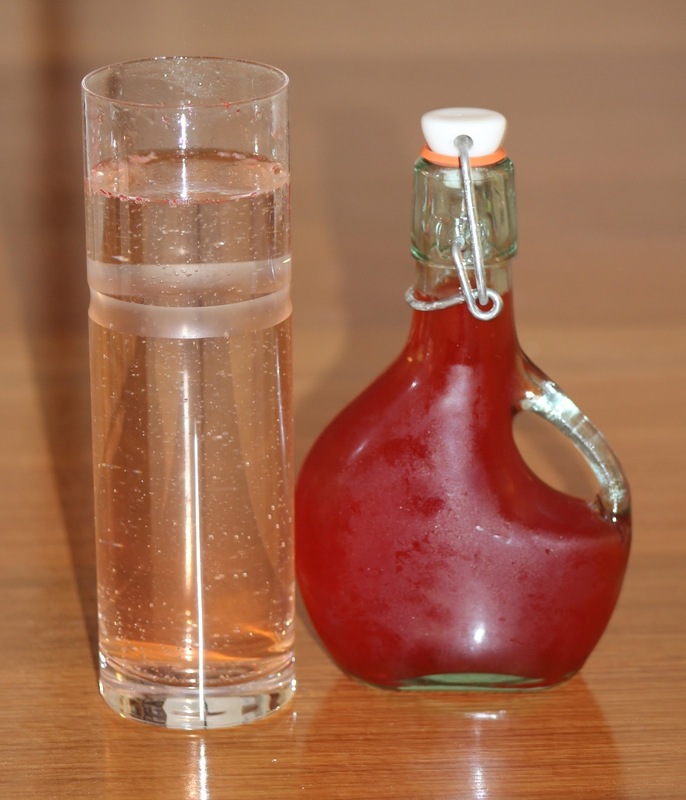 I just put a little amount in the bottom of my glass before adding sparkling water or soda water. Its very refreshing. Let me know what you think if you give one a go, or try making one yourself. Try serving them at your next dinner party.